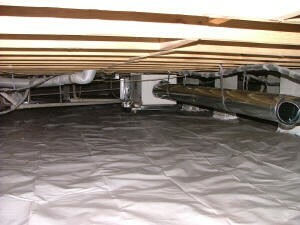 If you don’t know what an encapsulated crawl space is, you might want to do some research. 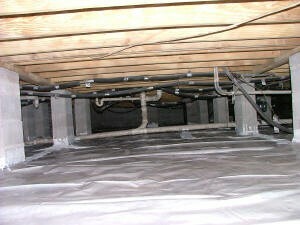 If properly designed and installed, closed crawl spaces WORK – that’s what all the talk is about! 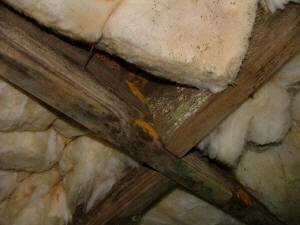 Why an Engineered-Certified Closed Crawl Space? Confidence – that your closed crawl space will be designed and implemented with oversight by GLS Engineering, a SC registered engineering firm specializing in residential/light commercial moisture control. Confidence – that all relevant issues will be explored and addressed including site conditions, drainage, humidity, crawl space layout, interior temperature control, duct location, etc. Confidence – that our engineers will work closely with the installation crew during the construction phase and provide valuable technical assistance and consulting services. Confidence – that common mistakes will be avoided – our experience will help avoid common mistakes encountered with crawl space moisture control. Confidence – that you are installing only what you need. GLS Engineering & Testing will design the right system for your application and nothing more. Confidence – that you will receive documentation detailing the scope of work and verification that the project was installed as designed and meets all applicable codes. The documentation provided by GLS Engieering is a valuable asset in the event of a future sale and shows that the project was designed and installed in a professional manner. This crawl space located in Snee Farm in Mt. 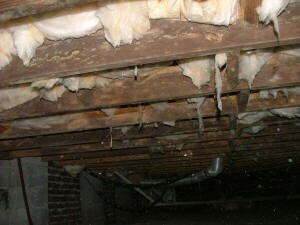 Pleasant was covered with mold and wood destroying fungi. After removal of the insulation and cleaning the floor system, the crawl space was closed and dehumidified with commercial- grade equipment. The crawl space is now maintained at a relative humidity of 50-60%, well below that necessary to support fungal activity. Closed crawl spaces such as this one also prevent hardwood floors from cupping and since there is no longer mold growing on the floor system, provide for a better environment in the living space above. If you need more information on Encapsulated Crawl Spaces, then please call GLS Engineering at 843-881-4803 or complete our online request form.